Famed for their ruthless fighting skills and brave exploring little is written about Viking religion and their day to day ritual practices which were arguably a more central component in Norse cultures than warring. 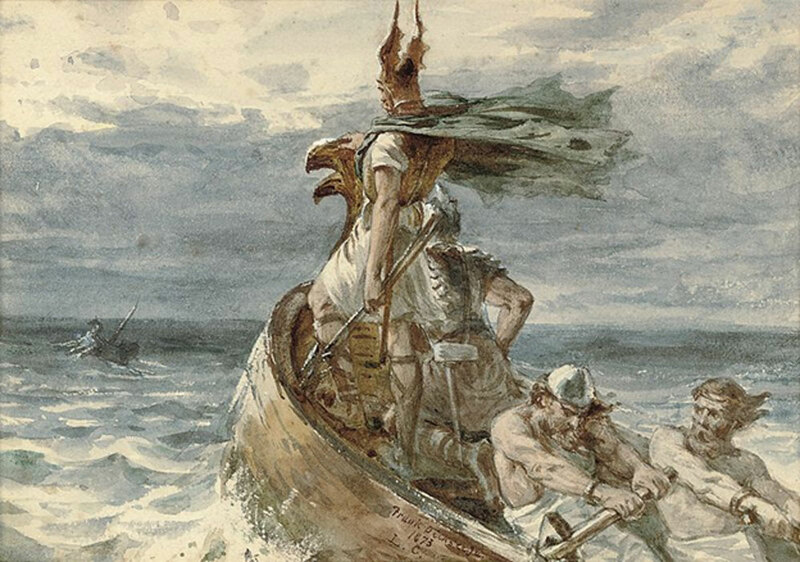 Contrary to what pop-culture might have one think, daily life for Vikings didn't involve sailing on violent conquests to new lands, but rather a meat-filled, human-sacrificing, hyper-spiritualized agricultural experience. The men would almost certainly farm by day and at night sleep in a big open room with the entire family (and possibly their goats). Women generally kept domestic affairs running smoothly and occasionally accompany the family might to attended feasts at the local chieftain's longhouse. 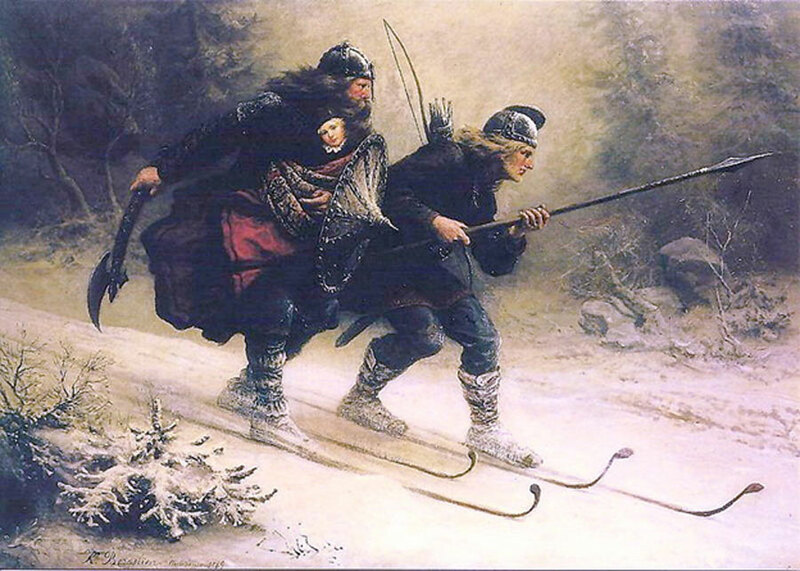 During winter both sexes skied, about which is evident by the depictions left on a 5,000-year-old rock carving discovered in the municipality of Rødøy, Norway, depicting a skier with one pole.